Today, we’ve got a very special story about Lisabeth’s adrenal fatigue before and after and her 15 lbs weight loss in just 8 weeks. When Lisabeth came to us, she was experiencing severe adrenal fatigue. 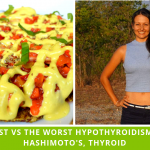 She had been sick for 12 years and bed ridden with adrenal fatigue for 1 year. She was also overweight, experiencing aching joints and muscles. Her mood was low and she wasn’t able to do a lot of things because she had no energy during the day. Just like most people with this condition, Lisabeth was also experiencing all the regular adrenal fatigue symptoms. Adrenal fatigue symptoms include extreme fatigue, brain fog, hormone imbalances, sleep disturbances, reduced immune function, weight gain, insulin resistance and depression. Most people with adrenal fatigue find that when they wake up in the morning, they are unable to function without a significant amount of caffeine. They then feel a bit more energy towards noon and then crash around 2-4pm. Having suffered with severe adrenal fatigue myself, I know exactly the kind of symptoms Lisabeth and many others like her experience. 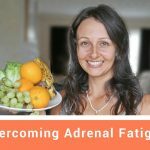 The good news, however, is that it’s possible to balance your adrenal fatigue. 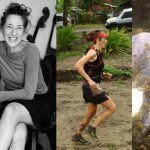 Lisabeth’s Adrenal Fatigue Before And After. In order to start balancing your health, there are certain steps that need to be taken. The first and most important step is with balancing your diet and lifestyle. 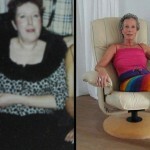 Lisabeth had already tried eating a plant foods, raw food diet before and she felt her best on this plan. So when we started working together, she wanted us to help her create the right plan, so she could also maintain it. Just DAYS into her new lifestyle, Lisabeth felt an increase in energy. She started to lose weight as well. Not only that, Lisabeth was also able to drop her afternoon naps and start experiencing lots of energy throughout the whole day. Her sleep improved as well and she was now able to get a full night’s rest on a regular basis. She was able to take her first exercise class – something that she was looking forward to, but had’nt been able to do for a long time. She says that at 56, she feels like she’s 36 again. She enjoys her food and her positive mood. Lisabeth has lost over 15 pounds in just 8 weeks and she continues to focus on building her health. Watch her interview above to gain more insights from her inspiring journey! Ready for your big health leap? We’re excited to invite you to our FREE online training. During this masterclass, we’ll walk you through the 5 steps our clients use to overcome hormonal and health imbalances and release 10-50 lbs of excess weight … whilst never restricting themselves of carbohydrates and sugar. Don’t miss out, claim your spot here! P.S. If you’d like to talk to us personally about getting your health back, click here to apply for your health discovery call. Looking to balance your hormones, reverse your health challenges and drop weight naturally? Claim your FREE Hormone Reset Plan and get started today! Yum, Send It To Me! 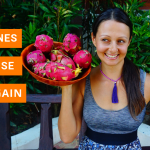 Free Hormone Reset Plan With Strategies And Recipes To Get Your Health Back Download it here! 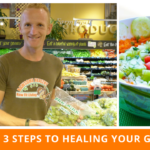 FREE WEBINAR: 5 Steps Our Clients Use To Overcome Chronic Health Issues And Drop 10-50 Pounds Naturally Claim Your Spot Here! Copyright © 2019 by Rawsomehealthy. All Rights Reserved. Not a substitute for medical advice. The information provided in or through our Website, Programs, Products and Services is not intended to be a substitute for professional medical advice, diagnosis or treatment that can be provided by your own Medical Provider (including doctor/physician, nurse, physician’s assistant, or any other health professional), Mental Health Provider (including psychiatrist, psychologist, therapist, counselor, or social worker), registered dietitian, or licensed nutritionist, or member of the clergy. We are not doctors. Communication with us is not a substitute for professional medical advice. Discover The 5 Steps Our Clients Use To Overcome Chronic Health Issues And Drop 10-50 Pounds Completely Naturally!